You will love the look and feel of this quality bar necklace. The high polished silver color is enhanced with rhodium plating. 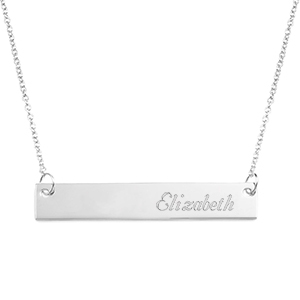 Engrave front and back with a name, monogram or personalized message.